arise, o church. a response and a call for the hearts of our youth. i’ve thought about it, too, now that you mention it. not so much now, but i did. back when healing felt like hot coals inside my gut, and the sunlight singed my parchment-thin heart. back when there was that one time when my medicines, they just stopped working. “Put me in the hospital,” i begged my counselor. eventually, the fine titration of years of therapy and therapists helped, combined with medicines as essential to the care and feeding of my brain as insulin is to a brittle diabetic. i remember the strangling weight of depression and anxiety, curling around my inmost being, whispering–no screaming–inside my head that all the world, my family, my friends would be better without me. they, on the other hand, are not. two Matthews–their very names meaning “gift of God”– in two weeks. gone by their own hands. the strangling weight of grief chokes two sets of families, two communities of friends. one is in the national spotlight. one happened in a nearby community. and the whole world groans for answers. of which there are none. arise and take note of the vicious tearing of the veil separating the seen from the unseen. take note of the evil powers and principalities punching through and groping for our youth, a precious, toe-headed generation of believers who will be (and are, even now) called upon to raise swords–the weight of which the world has never known–to fight for their lives and their faith. two Matthews are gone from this earth, but make no mistake: their deaths are NOT a score for the grave. indeed, the victory is Christ’s, Who overcame it. Who can overcome even yours. i painted this picture (below) when i was in one of the darkest times of my life. when cords entwined. when death crouched on the corner of my bed at night and counted my breaths as i gasped through living and imagined nightmares. when i stood too near to the gaping window, soothing currents of death caressing me, taunting me, singing in minor key over my deflated soul. but then, He reached down and took hold. He reached down and took hold of those boys, too, you know. why i live to tell about it, and not them, i do not know. but i do know this: for those of us lucky enough to have been drawn out of deep waters and have breath yet to speak of it, it is time for us to arise. time for us to raise banners for hope. that though we scramble to look perfect, life hurts. that for many of us, the grave never ceases to beckon, no matter how many worship songs we sing, no matter how many Bible studies we accomplish, no matter how many times we go back and forth between the baptizing waters of redemption. we who live must admit this. that our brokenness is NOT for a lack of faith. brokenness is the Siamese twin of this earthly life.
. . . still, He reaches down. because we are meant to live. call upon angel armies to bind up the hearts of our youth, whose lives are under an all-out siege. call upon angel battalions to seal the tears in the unseen veil. to protect this next generation. to have mercy upon them. most of all, we pray, o Lord, please cover the hearts of these hurting families with Your unfailing and healing love. seal the mouths of those who would hurt them in the midst of their unbearable pain. protect them and hold them close. and assure them of the truths of Romans 8:35-39. Do you or someone you love struggle with thoughts of suicide? And most of all, do not delay. Thank you. I’m struggling today with anxiety because of childhood sexual abuse. I’ve struggled with suicidal thoughts before for the same reason. I don’t know why then and not now – because I’m in pain now as well. I certainly wouldn’t share this publicly – even my church or family. That is really sad. Church arise. We need you not to judge us. Listen to us. My thoughts are with those families. God be with you, dear one. Jesus was there, and sees the pain. 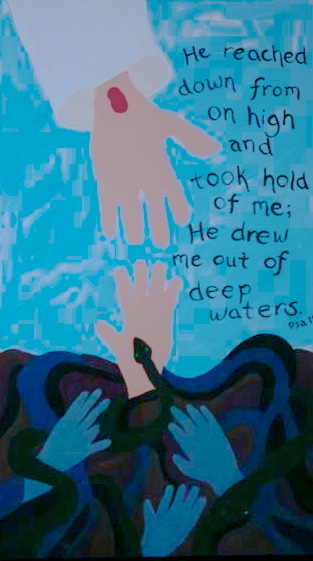 Reach out even now and grasp his hand and he will pull you out of the pit. I see stark bitterness and hopelessness in the lives of some of my son’s friends, young men just beginning their journey into the adult world. We’ve got to stand in the gap for them, pray for them, and love them to Jesus. It is so cool to find a Christian writer who is really honest about pain. I bet your books reflect this. I’m an aspiring writer, and I just want to be truthful about brokenness. It’s so exciting to find you blog and read about your writing. Know you are encouraging others!